In wake of his acquittal in the high profile 2G spectrum allocation scam case, former telecom minister A Raja on 22 December wrote to Dravida Munnetra Kazhagam (DMK) supremo M Karunanidhi, thanking him for being his saviour. "You are my saviour and I submit this historical verdict at your feet. You have always safeguarded and protected me through all these years," Raja wrote to the DMK patriarch. Raja also raised doubts as to who worked to frame charges against the DMK leaders. "Who is responsible for tarnishing our image? Although they achieved success for a brief period of time, they could not succeed wholly. But who is responsible for this?" he said in the letter, and claimed the leaders were jailed despite working to bring about technological revolution. "We brought revolution in IT sector by facilitating the technological revolution of Whatsapp, Facebook and Twitter, but all of this was termed as our wrongdoings and we were sent into jail for bringing about these revolutions. This can only happen in this country," the letter further read. 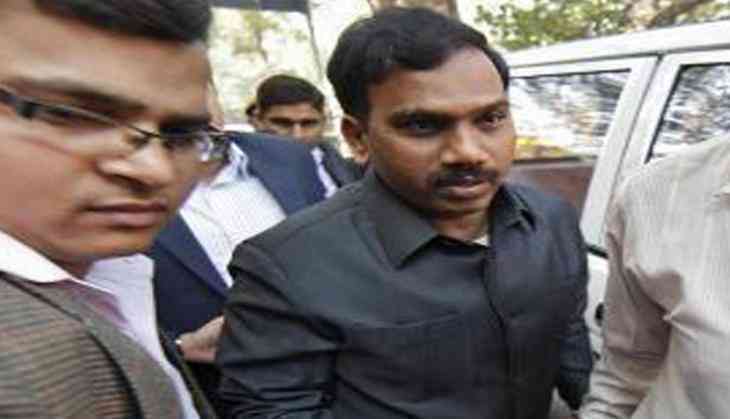 The special Central Bureau of Investigation (CBI) court acquitted all the accused in the scam, including A Raja and another DMK leader and Rajya Sabha MP Kanimozhi, yesterday. The CBI announced it would challenge the verdict, citing the court may have had not appreciated the evidence in its proper perspective.